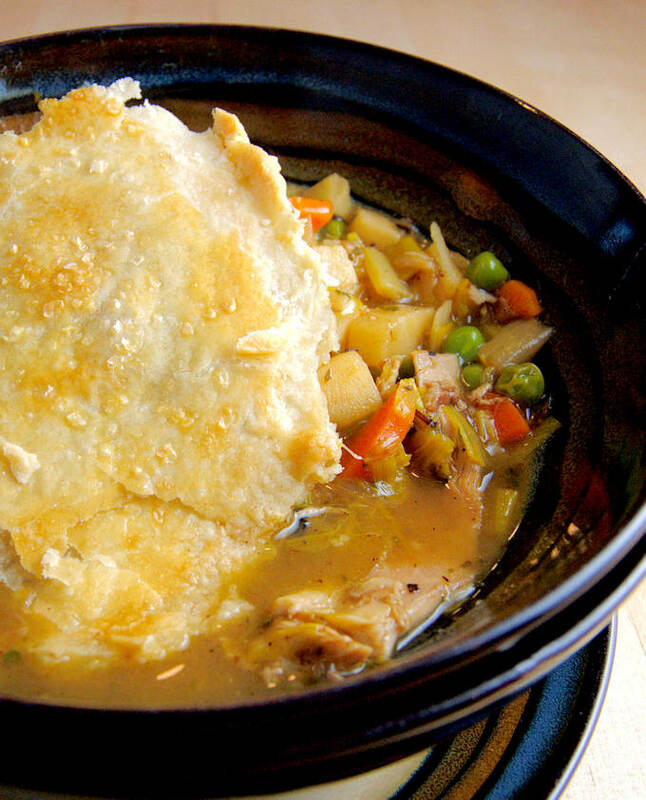 Chicken Pot Pie has got to be one of the all-time great comfort foods. Warm chicken stew under a flaky pie crust sprinkled with sea salt, yummm. 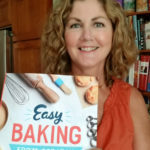 I know this is a baking blog, but I do cook savory food at home as well, and Chicken Pot Pie is a pie, after all. A great chicken stew starts with a great chicken stock. Of course there’s nothing wrong with using a box or can of broth from the store, but homemade chicken stock is so easy to make. 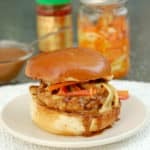 It takes about 5 minutes of actual prep and the rest of the time it just boils away on the stove, filling your house with an aroma that can’t be beat, except maybe by chocolate chip cookies or apple pie. For the chicken stew I used whole legs, which include the drumstick and thigh. You could use boneless and skinless chicken breasts if you prefer white meat and want fewer calories. I like the taste and texture of the dark meat in the stew. Start by browning the chicken legs. Since I made stock earlier in the day I just used the same pot, no need to wash. 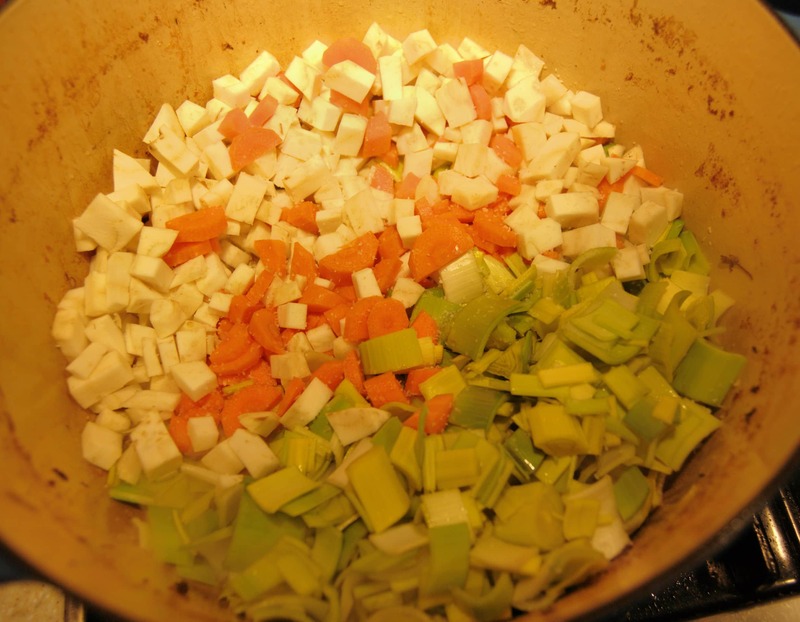 Remove the brown chicken from the pot and add the mirepoix (onion, carrot, celery) and garlic. Pour the cooked stew into the baking dish and allow it to cool a little before adding the crust. Brush the rim of the dish before placing the crust on top. This will keep the crust from pulling away from the pan. Brush with egg wash and sprinkle with sea salt. 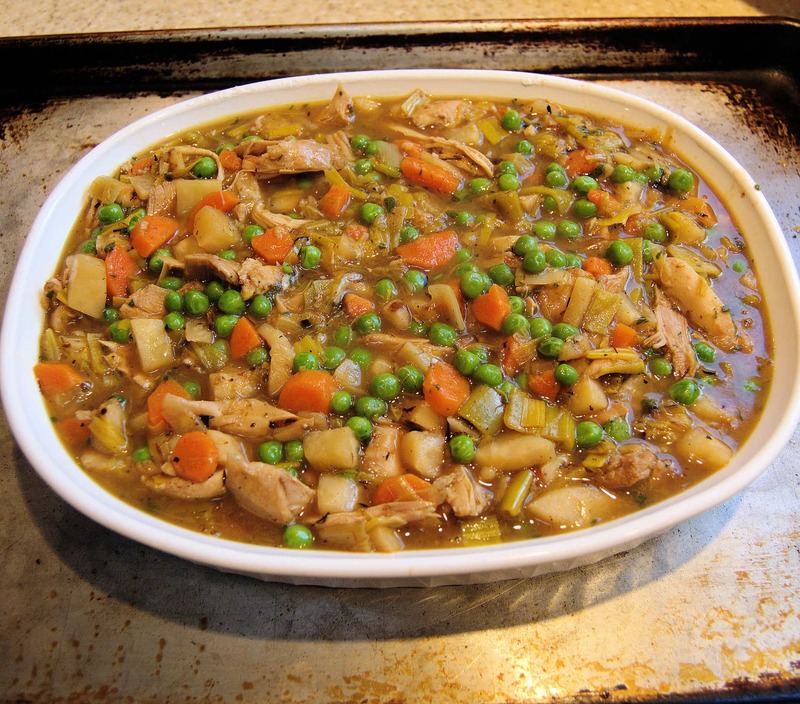 When you pour the hot stew into the baking dish give it a little time to cool down before adding the crust. If you put the crust onto the piping hot stew the fats in the crust will melt before you get it in the oven. I usually wait until the filling is just slightly warm before I top it with the dough. 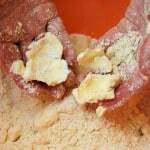 You’ll need 1/2 a recipe of Perfect Pie Crust to top the stew. 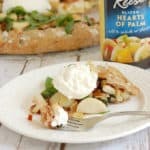 You could also top the pot pie with puff pastry. I usually make one large pie since it’s so easy. 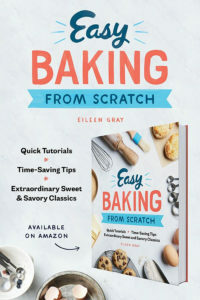 But if you have oven proof bowls or individual serving dishes you could make individual pies by cutting circles of dough for each dish. Finally, if the crust is your favorite part (and why wouldn’t it be?) 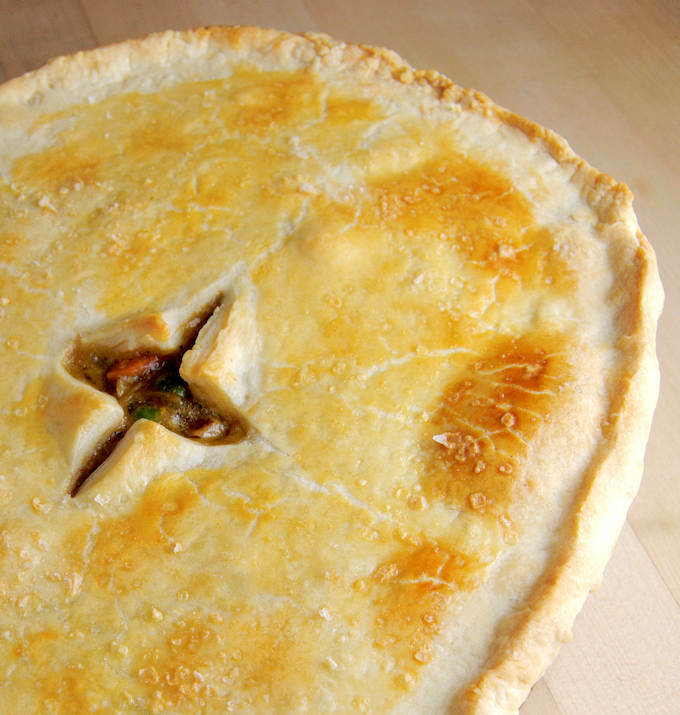 there’s no reason you couldn’t make a double crust chicken pot pie. 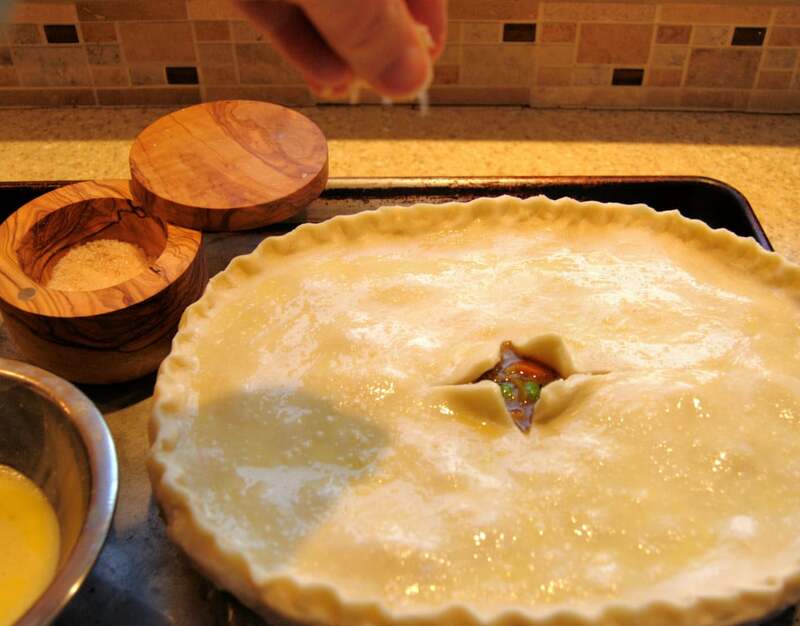 Just allow the filling to completely cool before assembling the pie. Since it will be in the oven longer the filling will have time to reheat while the bottom and top crusts bake. 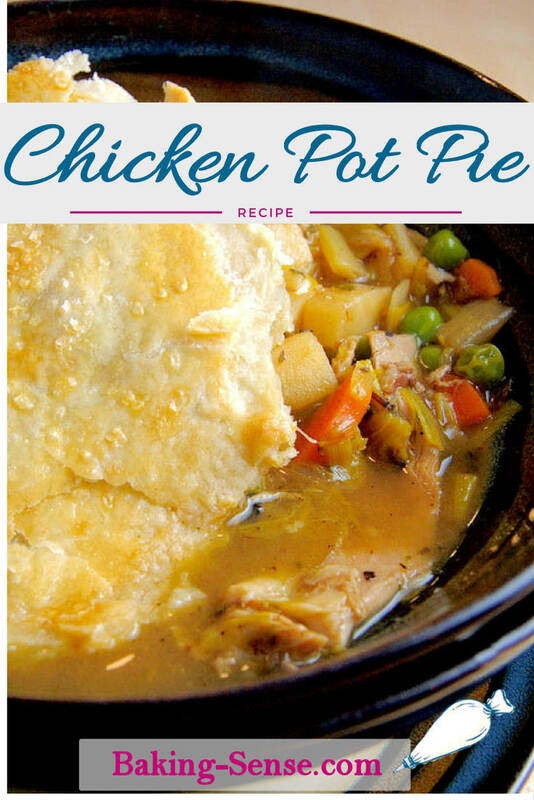 Classic chicken stew is the base for a delicious Chicken Pot Pie made with flaky pie crust. 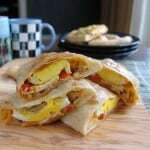 This can also be made with puff pastry. Heat the olive oil over medium high heat in a large heavy pot. Salt the chicken and place it in the hot oil, skin side down. Cook the chicken about 5 minutes until the skin is golden brown. Lower the heat if it's going too fast. Flip the chicken and cook on the other side another 5 minutes. Remove the chicken to a plate. Add a little more oil to the pan, if needed. Add the leeks, carrots, celery root and garlic. Saute about 4-5 minutes until the leeks begin to wilt and the vegetables take on a little color. In the meantime, remove the skin from the chicken. Add the wine to the pan, scraping up the browned bits on the bottom of the pot. Cook until most of the wine has evaporated. Sprinkle the flour evenly over the vegetables and stir to distribute. Add the stock all at once, stirring to clean the bottom of the pot. Reduce the heat to medium low and cook for another 30-40 minutes until the chicken is cooked through. 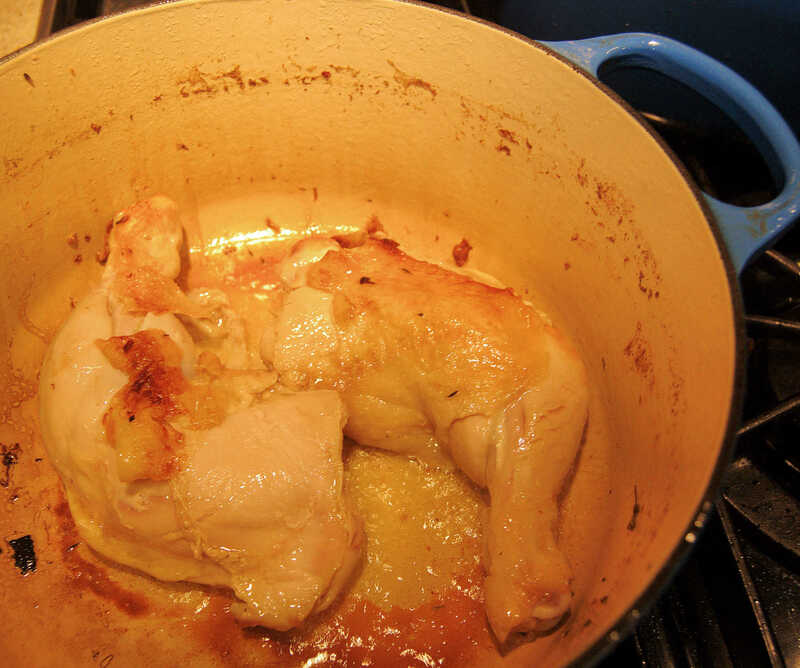 Remove the chicken from the pot to a plate. 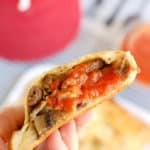 Take the meat off the bone and shred into bite size chunks. Add back to the stew. Adjust the seasonings to taste. I used leeks and celery root, but you can use 1 large onion and 2 stalks of celery instead. Hi there! Silly question but the chicken is already cooked before we brown it? Or when and where in the recipe do we cook the chicken legs? Hi Oksana. The chicken is raw when you brown it. After browning the chicken it is removed and the veggies are cooked. Take the skin off the chicken while the veggies cook. 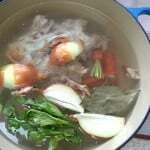 The chicken is added back to the pot after the stock is added and then finishes cooking in the broth. 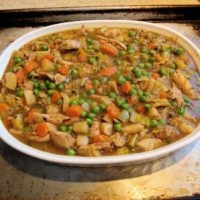 Finally, when the chicken is fully cooked, remove the meat from the bones and stir it back into the stew before assembling the pie.